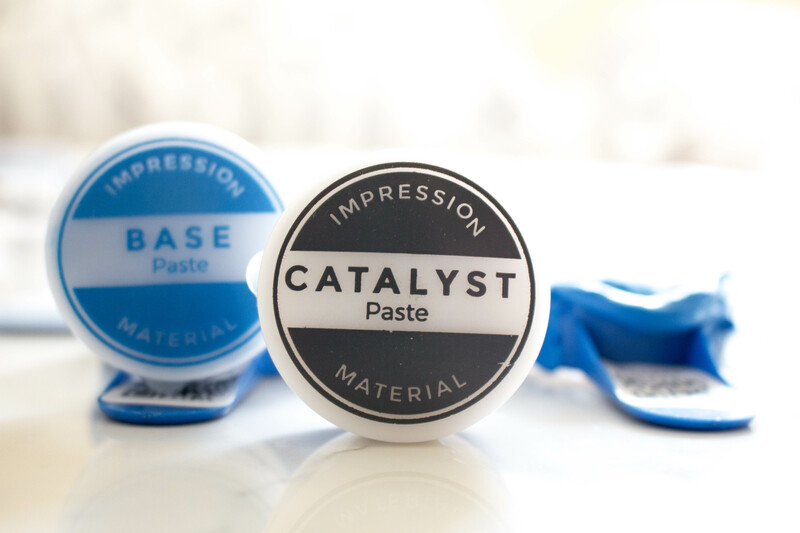 Teeth Whitening at Home - Smile Brilliant Review & Giveaway! If I had to pick two things that I’m self-conscious about – one would be my skin (adult acne is the worst!) and two would be my teeth (they never look as white as other people’s do and yes, I know it’s bad to do comparisons). It’s so strange, because I do a TON for my skin – washing my face multiple times a day, cleanser, toner, moisturizer, creams, oils, you name it, I’ve probably purchased it. Whatever I can do to keep my skin fresh and clean I do. But, oddly enough, with my teeth I don’t have the same kind of regimen. Sure, I’ve used whitening strips from time to time, and go to the dentist for regular cleanings, but never have I gone much further. Not sure if it’s because products aren’t as readily available or if I’m slightly clueless as to what to use, but at any rate, teeth whitening always seemed so expensive and wasn’t really an option. That’s why I was super excited when Smile Brilliant reached out to do a collaboration with me. And by excited, I mean, yay, finally my teeth get some help! Let me take a step back a moment and say that it’s not that my teeth are super crooked or odd shapes or any of that. But over the years they’ve taken on a more dingy tone. 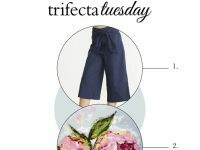 I will absolutely, one million percent, attribute that to the amount of tea I drink (think 4-5 cups a day – I’m actually drinking a cup as I type this post, ha!). Hi, I’m Michelle, I’m a tea addict. But, with this healthy tea addiction, comes the discoloration of teeth (sigh). 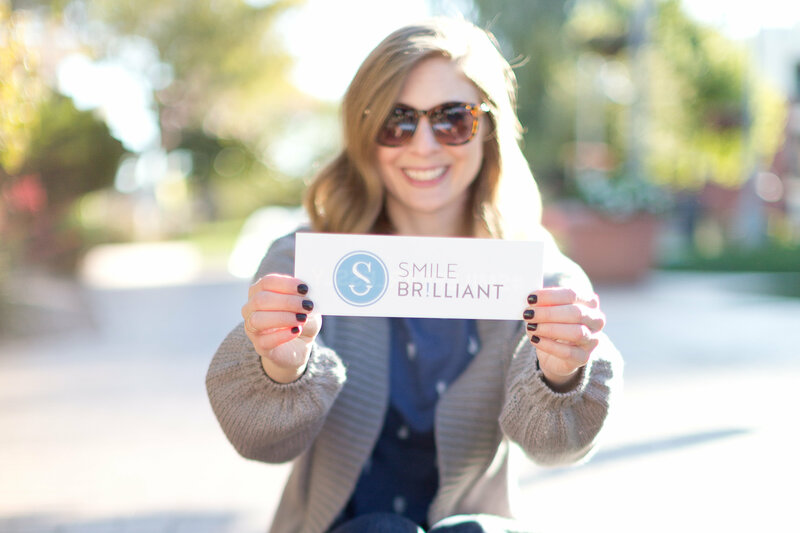 So, back to Smile Brilliant – thank you for being my whitening angel! Before I try any new product, I read up on their reviews, look at their website and information and try to get a real sense for the product and the company. Aside from a product, one of my biggest things I look at is the company and my interaction with the employees. I could find nothing that portrayed Smile Brilliant in any way but wonderful and when speaking with my contact there, I was thoroughly impressed! Every question I had about the whitening process was answered immediately and any concern I had was quickly diminished with tips and tricks on how the whitening kit can work for you. Well, that’s all I needed and I was ready to try this product out! I chose the sensitive whitening kit because my teeth have had cavities and sensitivities for as long as I can remember (I have a huge sweet tooth! If you’ve been following me, please feel free to say “duh”), so I didn’t want anything to irritate them. After a short survey I received my kit in the mail with exact instructions on what to do. There are instruction cards and illustrations throughout the box and guide and it’s so easy to follow along. First, you make impressions of your top and bottom teeth. That gets sent to Smile Brilliant so they can make your custom whitening trays. From start to finish, that process took only a week and then I started on the whitening portion. I typically whiten either right before bed or during the weekends when I can catch up on reading. Just remember that they don’t want you to eat or drink at least 30 mins from the end of the whitening session (that helped with my nighttime cravings! ), so plan accordingly. You put the gel in both trays, place them in your mouth and leave it in for at least 45 mins and up to 3 hours. After that, you brush your teeth, put the sensitivity gel in the trays and place those on for another 15 minutes. When that’s over, that’s it. You’re done for the day! It literally is so easy, and you’ll be able to see results right away. Because my teeth are fairly sensitive I whitened every 3-4 days for a couple months. There are multiple applications per tube of product, so its definitely worth the money! 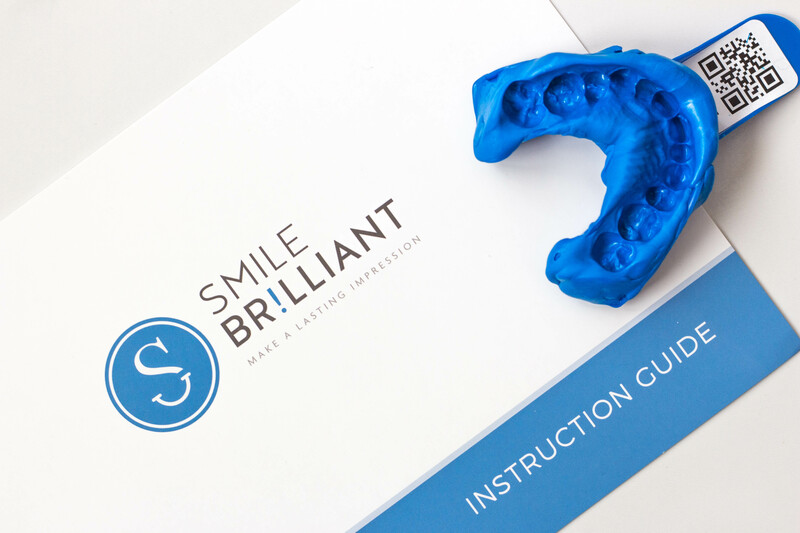 If you have any questions about the product, the side effects or sensitivity, feel free to contact Smile Brilliant. They really are wonderful in getting you the answers you need in order to feel safe about using their product. Or if you have any questions for me, feel free to email or write them in the message below and I’d be happy to share more about my experience or any insights I have. 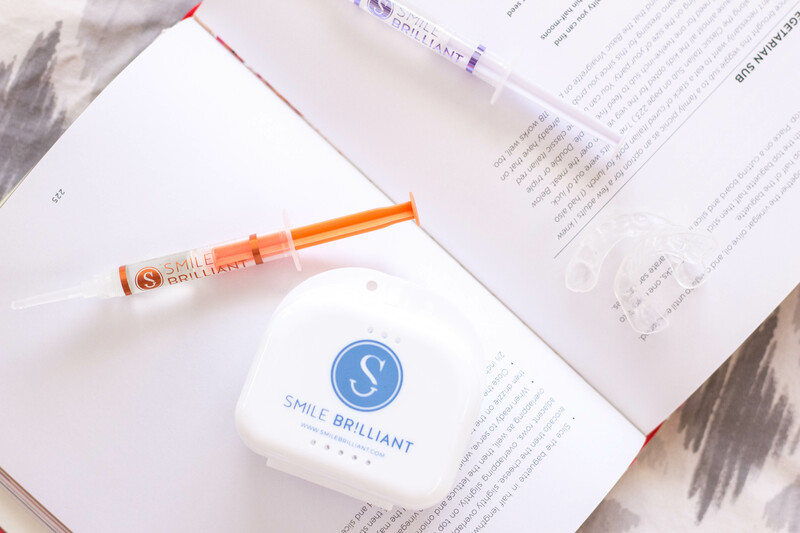 I have only great things to say about Smile Brilliant and this collaboration and will continue to use them for upkeep on my pearly whites. 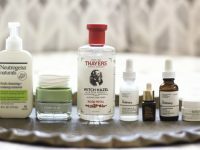 It has been an eye-opening experience, and while this is a sponsored post, I never want to push out any product that I haven’t tried myself and can vouch for. Bye bye tea stains, hello bright smile. If you’re interested in knowing more about this product or are ready to give it a shot, I’m hosting a giveaway to WIN one FREE whitening kit (valued at $139!). Click the link below to enter. Because…even if you’re not self-conscious about your teeth, everyone could use a little whitening and pampering from time to time, right!? Contest ends June 5, 2018 so get those entries in! Good luck and happy whitening!